Springtime is all about joining together of colors and elements to make this a beautiful and inspiring time of year. Nature provides us with a wonderful picture of newness of life and everything growing together in great diversity from the same soil, and brings joy to the soul. And just as in nature, we as the body of Christ all grow in the same soil - the Kingdom of God. And it is this togetherness and unity which I wrote about last week that is foundational for a healthy and relevant church, ready to receive the incoming harvest. 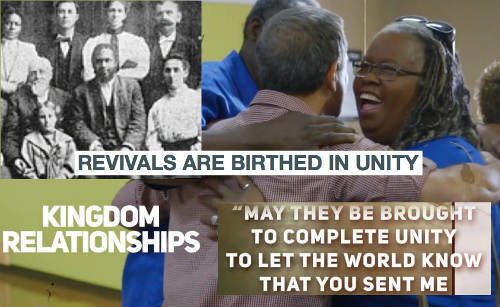 In response to that update, I got an email from our old friend Francis Anfuso, and he send me a short video that their church had just finished a week earlier titled, "Revivals Are Birthed In Unity." He says, "... it speaks to our desperate need for unity in revival", and so I want to pass it along. It is a very fast-paced 4 minutes, so watch and listen closely, and hold on to your hats! I hope it encourages and challenges you to take practical steps towards building up love in the church. Click this link to watch. Here is yet another expression of the growing unity here in Wales. 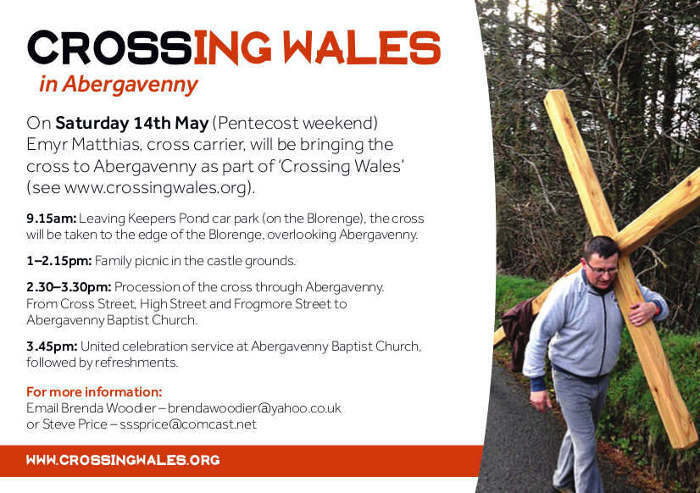 Our long time friend Emyr Mathias has been led of the Lord to carry a cross through parts of Wales as a testimony to God's love for this lost world. Many other like-minded people, who have been also praying for Wales for years, have joined in to support him in this new venture. You can find more information at their webpage http://crossingwales.org. So we want to let you know about a large gathering they have planned that will take place in Abergavenny on the Saturday, May 14th. Here is the information about it. For those of you close enough to be practical, we hope that you can join us. And for you that live in other parts of the world, please remember this event in your prayers. Thanks, and may God bless you as together we seek to see the name of Jesus lifted up in the earth in these days. One step closer - strengthening the foundations! 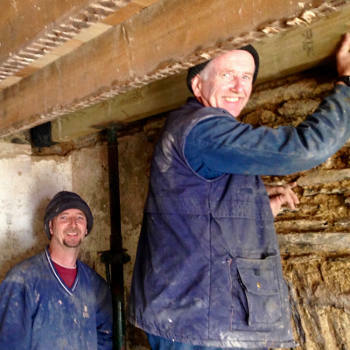 Last week repairs were started on the chapel vestry. What began as simply replacing the windows became a much larger project as other problems were uncovered. 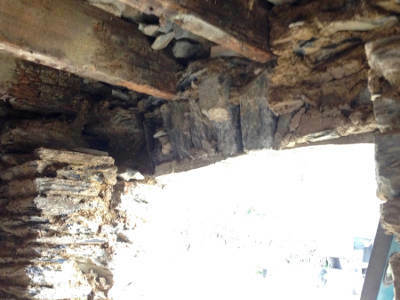 The dampness in these 220 year-old stone walls had caused the window and door headers to rot, as well as the supporting beams under the floor. 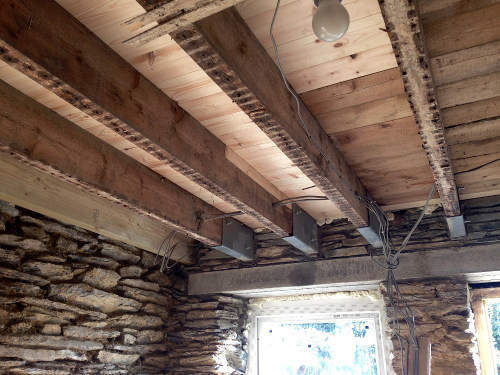 So the walls in that corner of the building have been treated and the floor joists reinforced or replaced, along with portions of the floor itself. This may sound purely mechanical, but actually I think it is quite significant. During the years we've been here, one thing after another has been repaired. There is still lots of work that could be done, but this is one more step in getting ready for the people that will come! Last Thursday we attended a gathering of pastors and leaders from different streams for a time of worship, teaching and fellowship. 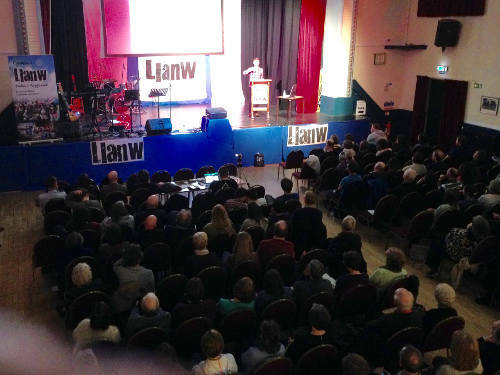 It was one of several examples of how Christians here in Wales are being drawn together. This is such a blessing to see, and a very important step in preparation for revival. During the worship the Lord began to show me something about the building going on in the vestry and how it relates to the church. 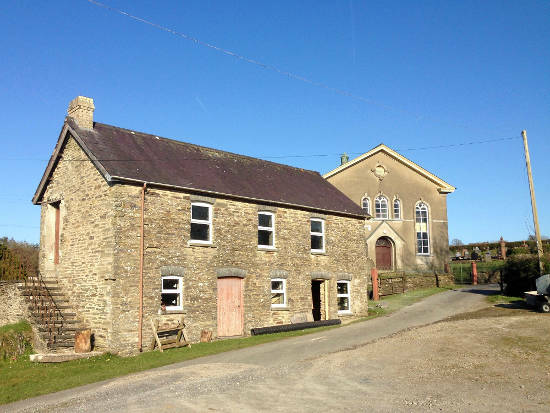 The chapel itself is used for regular worship services and other church functions. Things are usually formal and reserved. But the vestry would have been another story in years gone by. I saw how this was where the members would have gathered for refreshments and fellowship. In older days the chapels were a hub for social activities. The vestries were like the hearth of a home, or the kitchen, providing both physical warmth and sustenance, but something much more important than that. It would have been where people built relationships - sharing their lives and stories, their troubles and triumphs, encouragements and prayers. This would have been where the practical application of all of the "love one another" scriptures was birthed and nurtured. Like all things in life, time and effort need to be invested to keep things in good shape. And that goes for spiritual as well as material things. If the practical matters of sharing and serving together are neglected, then rottenness will set in and weaken the structure. As it says in Hebrews 10:24-25, "And let us consider one another in order to stir up love and good works, not forsaking the assembling of ourselves together, as is the manner of some, but exhorting one another, and so much the more as you see the Day approaching." When we first came to Wales almost eleven years ago, much of the church was divided and insular. But now we are beginning to see real changes. Instead of isolated groups and denominational or theological bias, a healthy interchange is developing across the body of Christ. Like the gathering above, there are several networks of leaders and servants coming together. Also there groups of believers gathering for prayer and worship, others are working together to serve communities in activities such as food banks and street pastors. All these things are working to bring hearts and lives together. Believers are discovering that we belong to one another because we belong to the same Father. It is a joy to find we are on the same team! As we watch the progress of the repairs taking place in our own chapel, it is a wonderful picture of what is happening across Wales. The heart and hearth of the church at large is being strengthened. A place of warmth and nourishment is being rebuilt and equipped. Things are being made ready to receive the multitudes that will be coming to Jesus for salvation and new life. And this is not only happening here in Wales. While instability and turmoil in the world around us cause people to start looking for hope and answers, the Lord is building His church. 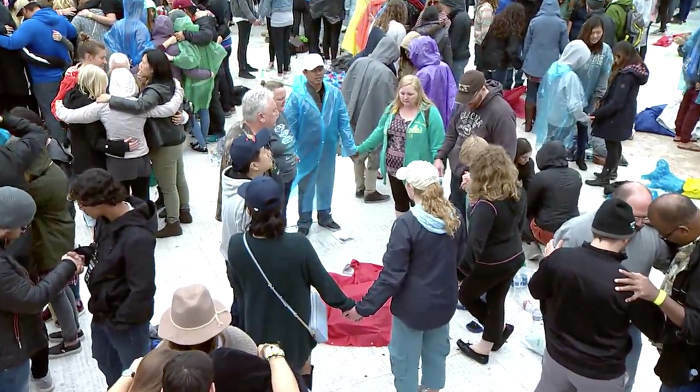 The huge gatherings of Christians in Los Angeles and Washington, DC ten days ago are further evidence of God's workings. There is a growing hunger for God's intervention in the nations, and a desire for unity among believers that is more practice than theory. The foundations are undergoing renovations for the coming of revival. May we all be encouraged with these words in Isaiah 35:3-4 "Strengthen the weak hands, and make firm the feeble knees. Say to those who are fearful-hearted, ’Be strong, do not fear! Behold, your God will come with vengeance, with the recompense of God; He will come and save you.'" 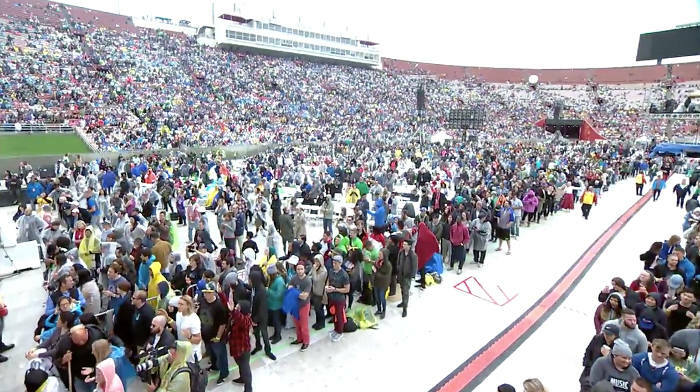 On Saturday April 9th, over 100,000 believers joined the gathering in Los Angeles. 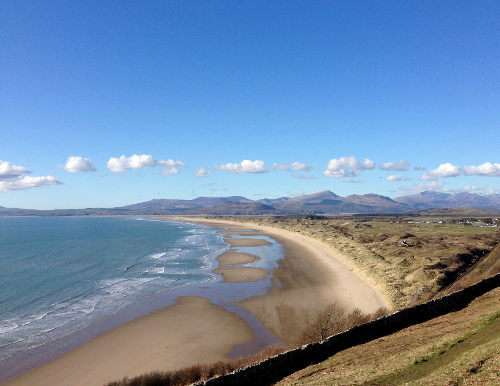 A visit to North Wales and lots of Welsh language! 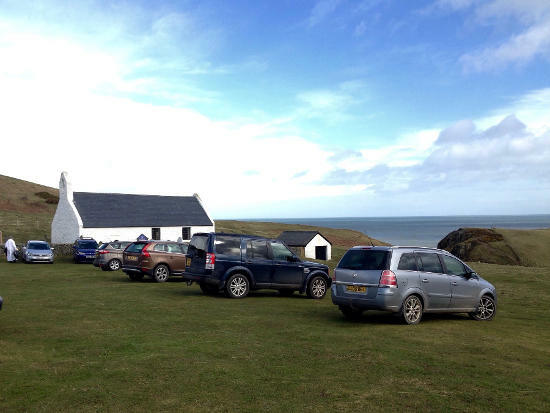 Easter Sunday we went to the service at the quaint little church at Mwnt. We have visited here many times with friends because is it such a beautiful spot and quite close to home. But it was very special to join in the combined English and Welsh worship service with church members and visitors from the area. I also recall joining in an outdoor Easter sunrise service here while on a visit before settling here in 2005. Being in this unique place where Easter has been celebrated for roughly 1500 years was a truly wonderful experience. The classic Easter hymns so familiar to me from my childhood years in the Episcopal church caused a deep and joyous stirring in my soul. As we continue praying for this land and looking towards revival, the words of the hymns seemed prophetic in nature. It is as if we can hear the singing of future believers already joined in with us in celebrating the amazing joy of Jesus' rising triumphant o'er the grave! 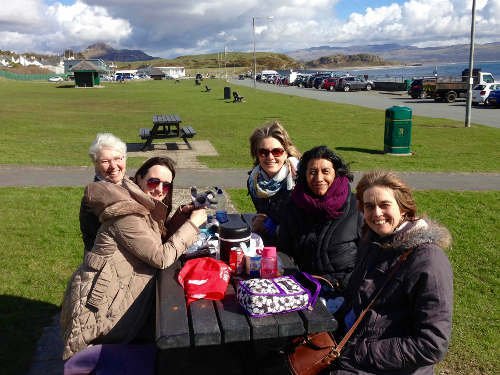 Then on Tuesday we headed to North Wales where we used to go every month for a prayer meeting we helped start. The group continues to get together the third Wednesday each month. It was great to have the opportunity to visit with friends and catch up with one another. And we always enjoy the drive north because of the beautiful scenery, and although it rained and even snowed in the mountains, it was wonderful to see signs of spring! 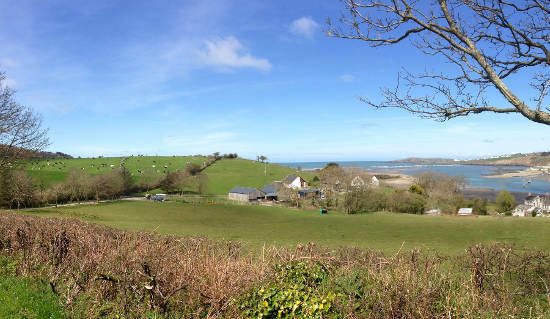 The next two days were beautiful and clear, and we spent them at a Welsh-speaking Christian camp-style conference called Llanw, which means "Tide." You can visit their web page for a good taste of the Welsh language. We took part in a prayer group during these meetings many years ago when they were first getting started in a place much closer to home. It was wonderful to see the growth and change over the years. Having started with about 60 people in attendance, this year there were over 300 taking part. They no longer all fit in one venue and had three places where meetings were going on. A special blessing was seeing so many young people involved now. Many that were teenagers at the start are now leading the meetings and preaching also. I had the opportunity to meet and speak with some of the young leaders and it was awesome to hear their enthusiasm about the Lord and their commitment to serving Him with their lives. It brought tears to my eyes as I listened to their fervor to see God's kingdom be establishing in the hearts of the multitudes once again. It was also a joy to watch their expressions and hear their reaction when we told them about our prayer mission here. We know that in some small way we are a part of what God is doing in this land. We are always encouraged by how the Lord moves in the lives of those around us, and we count it an amazing blessing that our being here is an encouragement to others as well. Thank you for your continued prayers for the people Wales, and especially for this younger generation that will be the ones to bring in the coming harvest won by our Risen Savior!